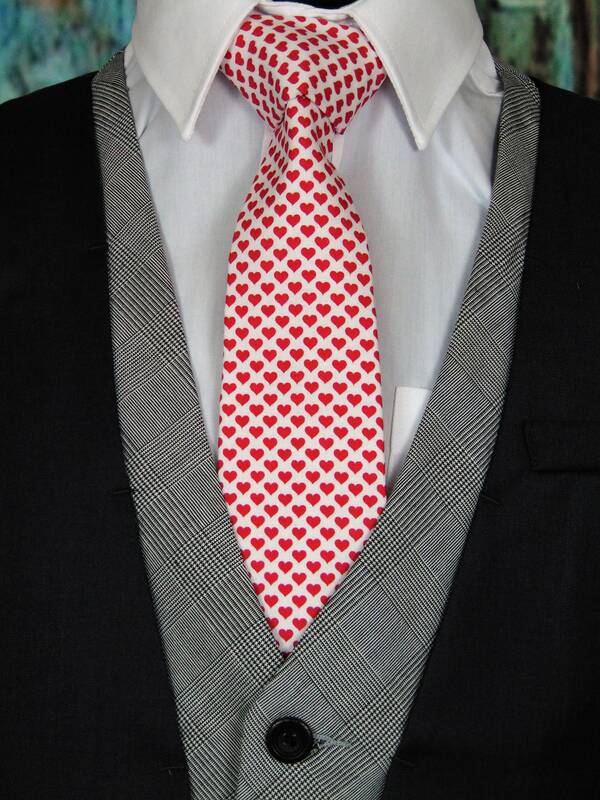 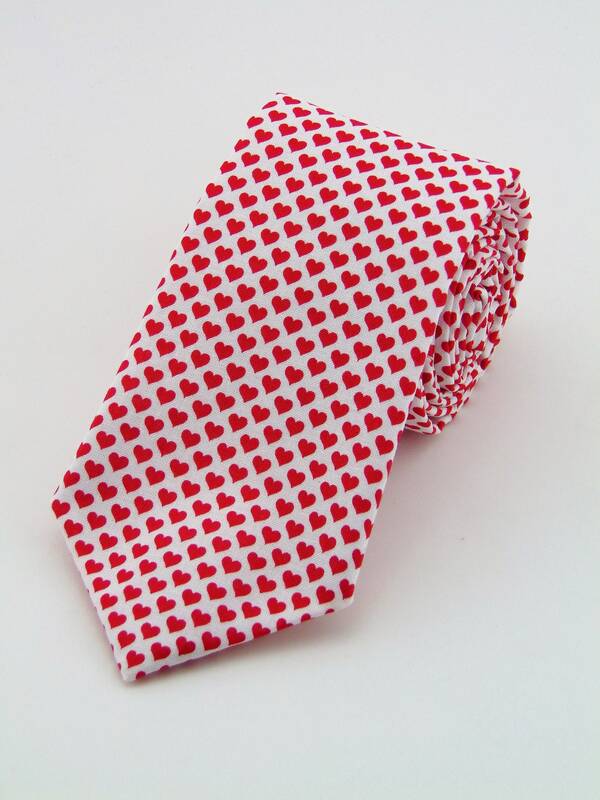 Mens or Boys white with red hearts Tie makes the perfect gift for your man on Valentine's Day. 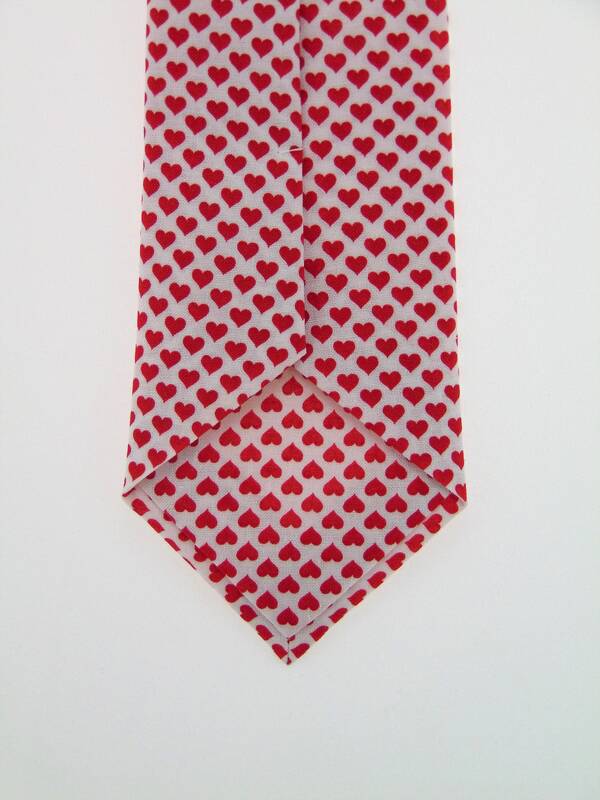 This Valentines Neckties is available as a skinny tie and a extra long Necktie. 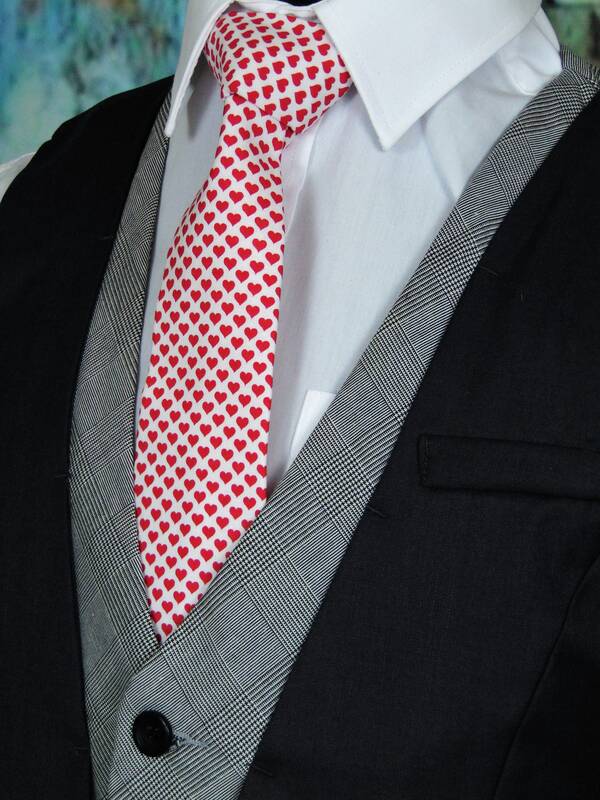 Pocket Square available upon request pending available of fabric. 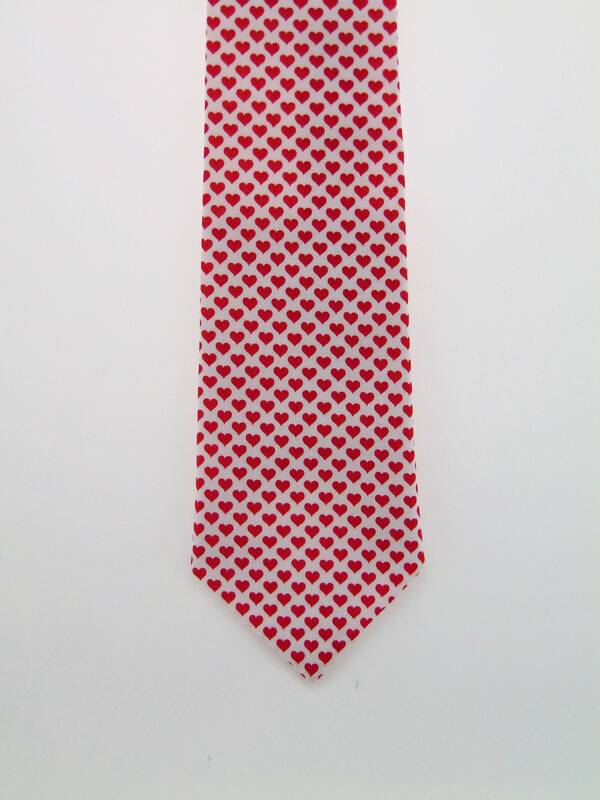 Cost is $10.00 Convo me to check availability. 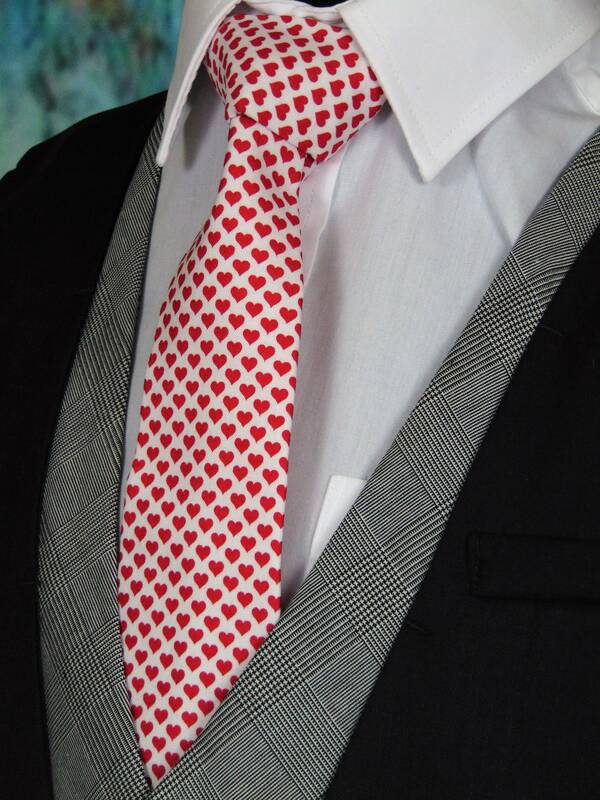 Any Questions about this tie, custom orders or bulk quantities, simply hit the "Ask a Question" button next to the price and I will get back to you within 24 hours.